Anecdotal information is that summer can often be a great time for prospective tenants to house-hunt in Dubai, striking a good deal on rental listings that have been sitting empty for a while — the lettings market is generally quieter over the hottest months, with many residents going abroad on school holidays and peak temperatures making property viewings a challenge. This is likely to continue to be the case this summer. Additionally, shrewd tenants looking to secure a lower price may now benefit further in areas of the city experiencing increased levels of new supply. Data shows a general softening of residential rents across most of Dubai. Leasing rates are now broadly back to where they were in the first quarters of 2013, erasing any gains from the last few years. This is a result of a slower secondary market and global economic headwinds over much of this period. Nonetheless, Dubai continued to have strong off-plan sales activity for much of this decade. Purchasers are attracted by quality landmark developments with high-end specifications and attractive payment plans. Much of this new build stock was purchased by investors who are now listing their recently completed properties in a more crowded rental market. Some owners can well afford to hold on to get the rent they want. Others, particularly those with monthly mortgage repayments, will want to avoid empty periods with no rental income and will possibly be motivated to secure a tenant at lower rates. The capacity of a location to find tenants for newly handed over property is termed the “absorption rate” i.e. how long it will take for new-build property to be let. 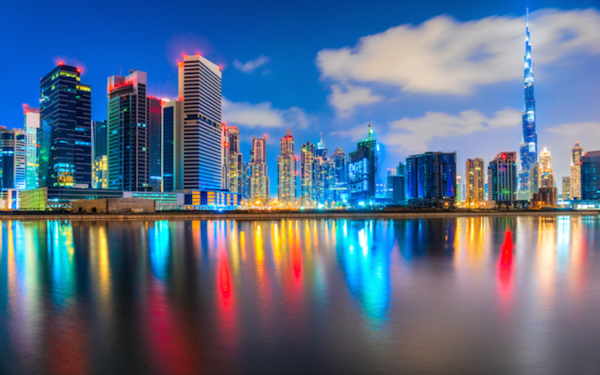 The absorption rate in prime residential areas such as Downtown Dubai, Dubai Marina and Palm Jumeirah is expected to remain broadly resilient. However, some newer areas will possibly find it more difficult, especially where hundreds of villas or multiple apartment towers are all being handed over at about the same time. ValuStrat’s analysis of some of Dubai’s suburban locations that are experiencing increased supplies of newly completed property reveals that Liwan district, estimated to have 1,430 new units delivered this year, has experienced a 16 per cent decline in rental values for two-bedroom properties over the last 12 months. International City, with a predicted 2,031 new properties expected this year, has seen a drop of 13 per cent in lease prices for two-bedroom units since last year. Master-planned communities such as Dubai Silicon Oasis and Dubai Sports City, with 4,341 and 1,907 units in the pipeline this year respectively, have both witnessed rental price declines of up to 12 per cent on some unit types year-on-year. This suggests a strong correlation between increased rental stock supply and resultant lease rates. Competition among landlords is good news for prospective tenants, not only by way of lower rents, but also additional sweeteners such as multiple cheque payments, rent-free periods and assistance with landscaping and decorating costs. According to ValuStrat research, this year’s pipeline is estimated at 25,000 units, while another 42,000 are slated for delivery next year. In light of this, supply-based pressures are likely to remain for the next year or two on some sectors of the rental market. It is noteworthy that 16,000 properties are expected next year in Dubailand alone, to include mostly mid-market locations such as Living Legends, Akoya and Town Square. In the medium term, we anticipate that the equilibrium may better balance out. As the city grows, with an increased population and economic activity, helping to absorb new housing deliveries and better match demand with supply. In conclusion, we suggest that prospective tenants looking to make a move in summer to consider areas of increased new supply. The next few months may prove to be a favourable time to negotiate a lease on a new home, especially those seeking two- or three-bedroom property in areas such as Dubailand, Al Qudra Road or some of the newer western districts of the city.